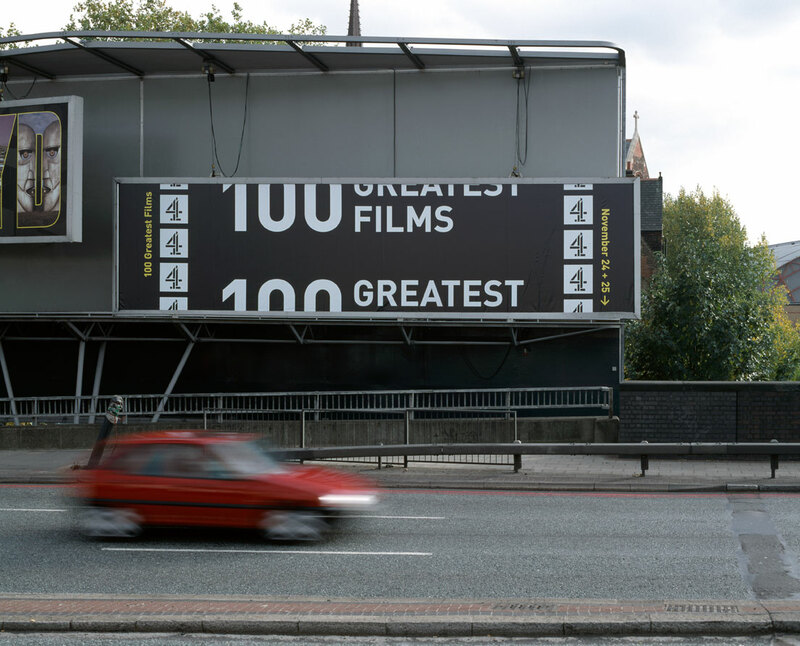 Channel 4 has a series of programs called 100 Greatest… I was invited to make a tease-and reveal billboard campaign to promote 100 Greatest Films. 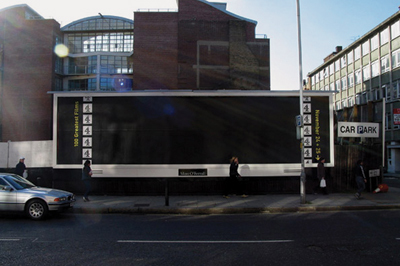 The first, “tease,” billboard was all black, apart from the repetition of the Channel 4 logo to reference the leader edge of a strip of film. The “reveal” billboard is caught between two frames, emphasizing the physical movement of film.